Woodrow W. Wrenn, Jr., 82, of Roanoke Rapids died Saturday, October 27, 2018. He was the son of the late Woodrow Wilson Wrenn and the late Primrose Claiborne Wrenn. Woodrow was graduate of Gaston High School, class of 1954, and enlisted in the United States Air Force, serving from 1954-1958. 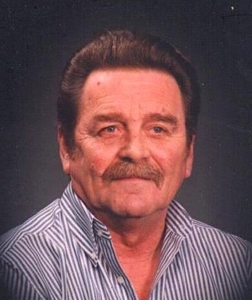 A longtime resident of Roanoke Rapids and a former employee of Ihrie Supply, Woodrow retired in 2000 from Southern Plumbing Wholesale in Chesapeake, Virginia. Woodrow is survived by his loving wife of 65 years, Margie Black Wrenn, son Greg and his wife Lori, grandson Daniel, great grandson Greyson, sister-in-law Jane Black Gorris and husband Norman, and many nieces and nephews. In addition to his parents, he was preceded in death by his sister-in-law Arlene Black Miller and husband Ron. Funeral Services will be held Wednesday, October 31, 2018, at 2:00 P.M. at Wrenn Clarke & Hagan Funeral Home Chapel with Rev. Randy Martin officiating. The family will receive friends following the service at the Funeral Home.